With this application you will discover the Route of El CID in a single click. You'll find all along the paths the monuments, the populations referred in "El Cantar de Mio Cid", and those others marked by the historical figure of El Cid Campeador. You may also filter the points of your interest by nearest or categories, see the detailed information of each point, as well as many other features. ¿How can I download the apps? 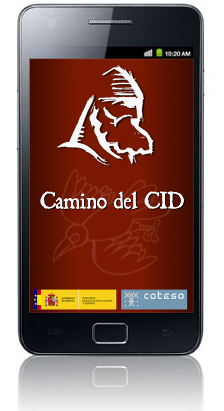 The apps "Route of El Cid, on your phone", which are already available for free download, have been developed for iPhones, and most Android devices (those with 320x240 px. and 800x480 px. screen resolutions). They can be downloaded from "APP Store" and "Google Play".